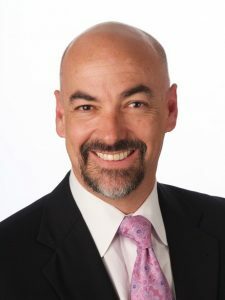 Chris Walker has more than two decades of experience advocating on legislative and regulatory issues before the California State Legislature as well as executive branch departments and agencies. His clients include trade associations in the construction, education, food and beverage, and transportation industries. Mr. Walker also has significant professional association management experience, serving as assistant executive director to two national organizations. Mr. Walker has successfully advanced clients’ complex and urgent policy interests requiring creative solutions and state finance priority. His work benefits from the strong network of bipartisan relationships with legislators and staff he has developed over two decades in Sacramento. Mr. Walker has worked extensively with the California Department of Alcohol Beverage Control on statewide matters related to alcohol beverage manufacturing, distribution and retail sales. Mr. Walker has worked with the State Department of Education, the State Allocation Board and Chancellor’s Office of the California Community Colleges on matters related to new school construction and modernization, as well as, curriculum standards for career and technical education. Mr. Walker also has experience working with the Public Utilities Commission, the California Energy Commission, and the California Building Standards Commission on green-building policies and energy efficiency regulations. Mr. Walker has also worked extensively on air quality issues with regulators at the U.S. Environmental Protection Agency, the California Environmental Protection Agency, the California Air Resources Board, the Department of Consumer Affairs, and the Bureau of Automotive Repair, and local air districts.